Day 19 started in Arrowtown with some lovely blue sky. 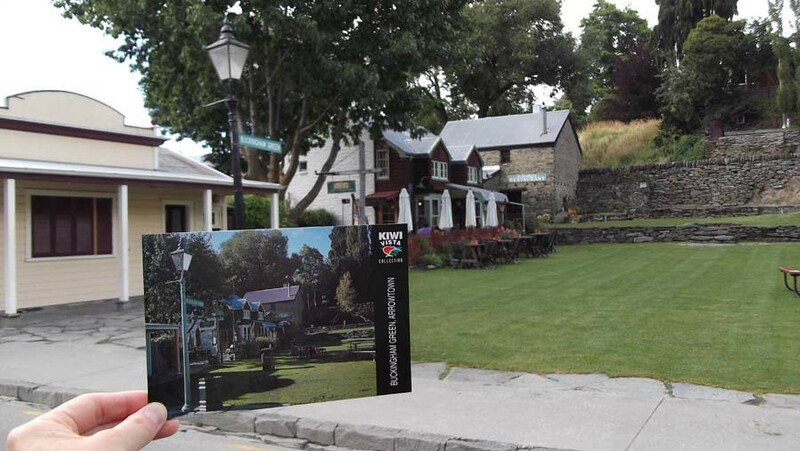 We left the holiday park in the morning and then had a bit of a walk around Arrowtown. It’s such a cute little town. After Arrowtown, we drove back to Queenstown. In Queenstown, we found a park and went for a walk around the town. We met the guy who runs a camera review site called Camera Labs. Gordon’s originally from Manchester in England and he moved to New Zealand five years ago. He said he loves the outdoors. So environments like Queenstown, I really, really love. And I love coming to visit. And I was living in London and it was taking such a long time to actually get out, even at the weekend, you wanted to go for a walk, it would take you hours to even get to some nice greenery. And I thought, you know what, why don’t I try and move to one of these places? So yeah, I came to one of my favourite holiday destinations. And it’s brilliant because now you step out of your home, and you’re in it, you’re in Queenstown. And it’s just such a beautiful place. There’s so many activities. I came here just for the summer activities, but since moving here, I’ve got into snowboarding, so I’ve got, you know, stuff to do all year round. It’s like living in a national park that you don’t have to travel to get to. You know there are a lot of beautiful places in the world, but generally you can’t live in them. 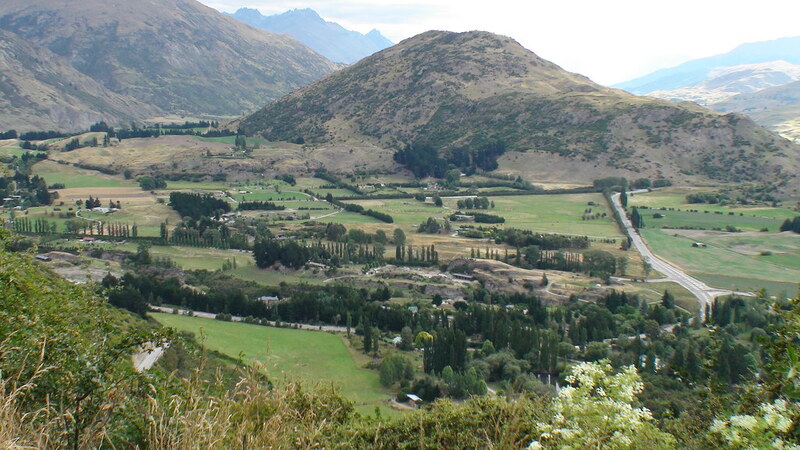 You live near them, but not in them, whereas in Queenstown, you are living in it. And you don’t need to drive to find a fantastic walk or mountain biking route or somewhere to kayak or whatever you want to do. You can go to the ski fields in 20 minutes. Forty five minutes or half an hour, you can drive to some fantastic vineyards if you want to do some wine tasting. I mean it’s, there’s so much here, it’s such a fantastic destination. I asked Gordon if there was anything that surprised him about New Zealand English. And he said we use the word awesome a lot more than they do in England. For something to be awesome, that’s a big deal. You know, really big deal. That’s like a once in a lifetime thing. You know, or, like, you know, really seriously massive. So yeah, awesome’s used a lot here and obviously sweet as, or anything as … just as. And heaps … heaps! We had an awesome coffee, and I wrote a postcard and sent it to Japan. We saw heaps of ducks and seagulls hanging out together. 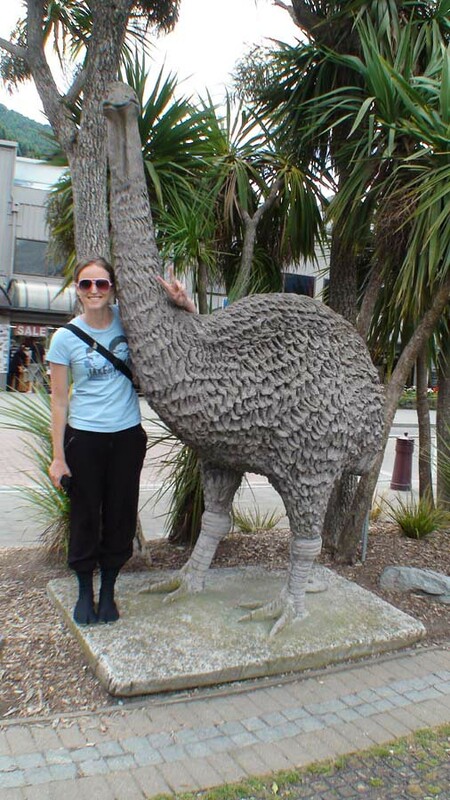 We also saw a big bird - this is called a moa - and we saw a puppy. It was cute as. 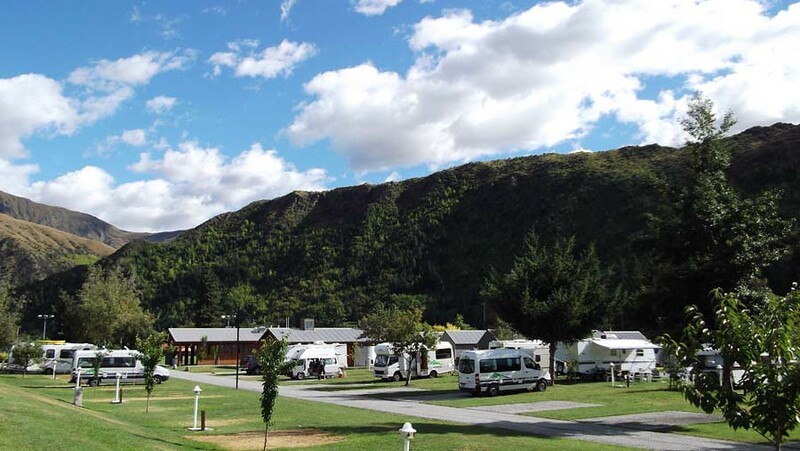 We also visited a holiday park in Queenstown which is run by the same people as the Arrowtown Born of Gold Holiday Park. We talked to the assistant manager who’s from Brazil. 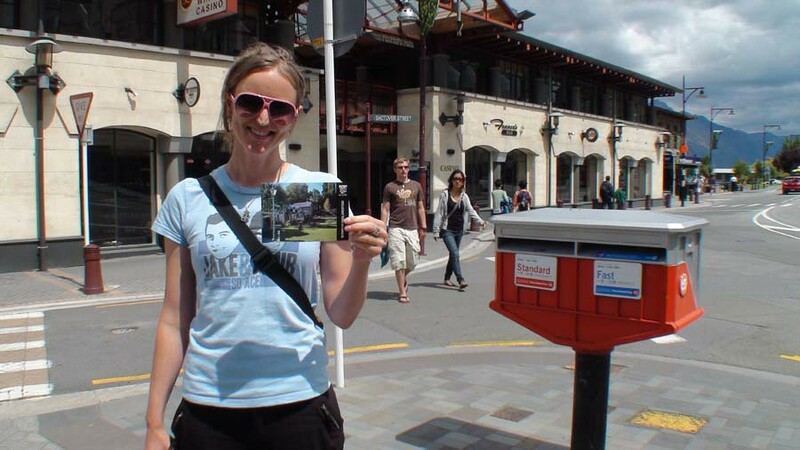 Carla has lived in Queenstown for 5 years and she met her husband here. We got married in Thailand. It’s quite mixed. We got married in Thailand, I’m from Brazil, he’s from Holland and then we spent our honeymoon in Holland. I asked Carla how she learnt English. We left Queenstown and drove up the road to check out some bungy jumping. This is the Kawarau Bridge Bungy - the world's first permanent commercial bungy site. The bungy centre’s pretty cool. They had a room showing a movie about the history of bungy jumping. It was really interesting … and the bean bags were so comfortable I could’ve stayed there all day. 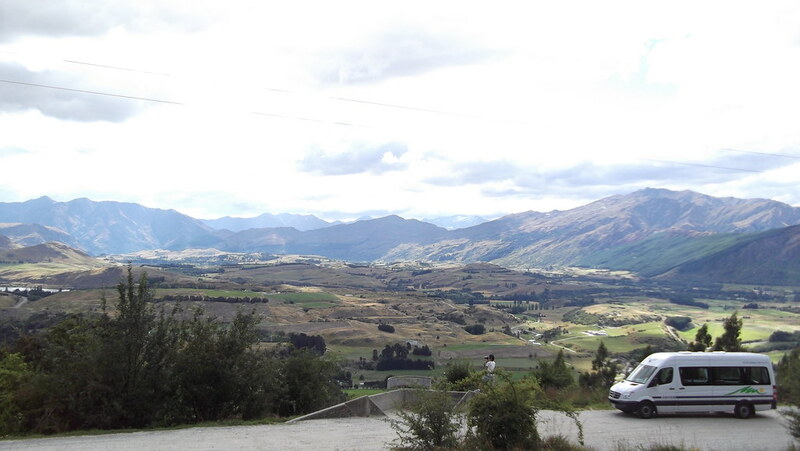 After the bungy viewing, we drove to Wanaka over some mountains called the Crown Range. The Crown Range Road is one of the highest sealed roads in New Zealand. 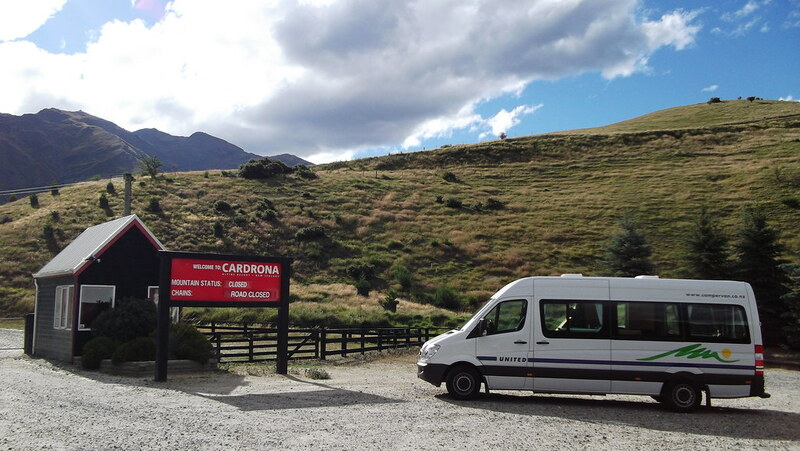 The Cardrona Ski Field was closed. I’d love to come back here in Winter. They open in late June. That night we stayed at my aunty and uncle’s place in Wanaka. This video is licenced under a Creative Commons Attribution-ShareAlike 3.0 licence.